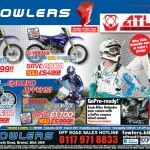 Get ready for the biggest ever Black Friday offers at Fowlers – both in store AND online! 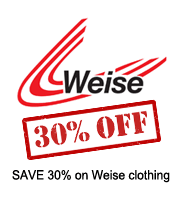 Stocks of new lines for 2016 will be arriving in our showrooms soon and that means you can make big savings on this year’s lines that need to be cleared to make space. 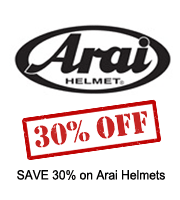 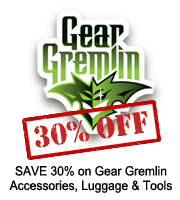 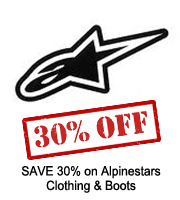 Save 30%* on ALL products from Alpinestars, Arai, Duchinni, Gear Gremlin, Weise, and KTM Powerwear and Casual Clothing** purchased from Fowlers. 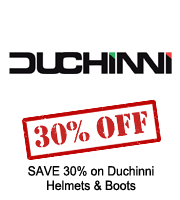 And there’s more good news for you – these deals last right through from Black Friday on 27th November until Cyber Monday, 30th November 2015. 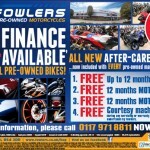 To enjoy these unmissable deals, all you need to do is visit Fowlers’ Online Shop or the Off-road Shop, or call into our central Bristol showrooms. 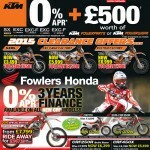 The prices already have the discounts applied, so everything has been made hassle-free for you! 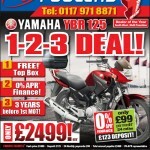 Remember, these deals are only available while stocks last and must end on Monday 30th November 2015, so hurry along to Fowlers this weekend! 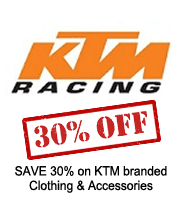 ** Offer does not include KTM motorcycles or genuine KTM spare parts. 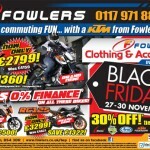 This entry was posted in Black Friday, Offers on 26/11/2015 by Fowlers News.